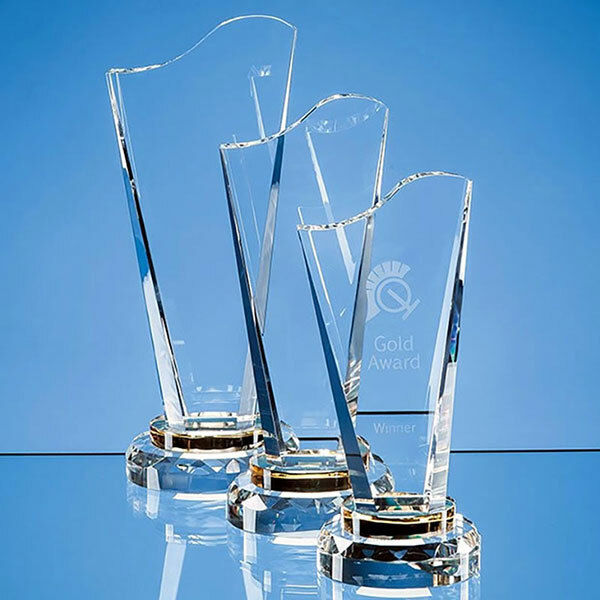 Stunning clear glass award crafted in flawless optical crystal with faceted sides and wavy edge peak, set on a heavyweight circular glass base. These contemporary awards have a flame shape design and provide a large area for engraving. They are offered here with text and/or logo engraving options and come supplied in a foam-lined presentation box.